Senior academics have declared their intention to resign from the Arts and Humanities Research Council (AHRC) Peer Review College if there are no clear steps taken to remove the “Big Society” from the AHRC’s delivery plan by Monday, 27th June 2011. The academics include many of the most senior and well respected figures in leading university departments. Further resignations from the AHRC Peer Review College may follow their lead. This will not be done lightly: the Peer Review College provides invaluable assistance in vetting research proposals submitted to the AHRC. The AHRC delivery plan outlines the research council’s strategic priorities. The plan states that it aspires to make a “contribution” to the “Big Society” agenda (sects. 3.10, 3.12). 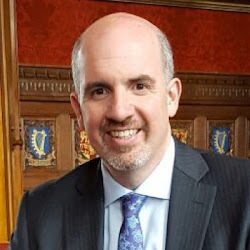 One research programme (“Connected Communities”) will “enable the AHRC to contribute to the government’s initiatives on localism and the ‘Big Society’” (sect. 2.4.4). The inclusion of the “Big Society” in the AHRC delivery plan has proved highly controversial. Petitions calling for the removal of the “Big Society” from the AHRC delivery plan have attracted signatures from nearly 4,000 academics. There have been several letters and opinion essays published in national and international news media. This position has won the support of more than 30 learned societies. This widespread and unprecedented public support crosses disciplinary and political divisions. The AHRC has refused to remove the “Big Society” from the delivery plan. Senior academics now call on the AHRC to change the delivery plan or they will lead a mass exodus. • More than 40 leading academics threatening en masse resignations. • The campaign to remove the “Big Society” from the AHRC delivery plan has attracted unprecedented widespread support from across disciplinary and political divisions. • More than 4,000 academics have signed public statements calling on the AHRC to make this change. This statement is endorsed by 30+ learned societies. We are Arts and Humanities Research Council (AHRC) Peer Review College members. We intend to resign from the AHRC Peer Review College if there are no clear steps taken to remove the “Big Society” from the AHRC delivery plan. Our stand is personal as members of the academic community and it does not represent our home institutions. UPDATE: Names have been added to original list. Thom Brooks on "The Story That Almost Never Was"
Politics.co.uk on the AHRC and "Big Society"
Calling on AHRC Peer Review College members! US universities in alleged African "land grabs"
JOB: 50 new posts at Birmingham! Joshua Knobe - "In Search of the True Self"
"Time's up for 'Big Society'"